I woke up this morning to find a nice dusting on snow on my hood, and my temperature gauge reading -4. It looks like winter is upon us, and with that comes winter driving. One of the most important (and most overlooked) aspects of your cars ability to perform in winter is the proper tires. Did you know that below 7 degrees Celsius, all-season tires see a measurable loss in traction and control? That’s right, at 7 degrees! Most people (myself included) think winter tires are only useful whens its really cold and really icy, but thats not the case. Winter tires have a special compound in the rubber that hardens when the temperature reaches 7 degrees, creating more optimal conditions for your driving. Featuring a combination of specialized tread designs and compounds to provide effective traction in cold, snowy conditions, winter tires are the safest tires for Canadian winters. Marked with the pictograph of a peaked mountain with a snowflake, this symbol means your tires will meet the specific snow traction performance requirements – designed specifically for cold, snowy, icy and slippery driving. These tires are also designed for improved traction on cold, dry road surfaces. You can spot an all-season tire by the M+S (Mud + Snow) marking on the sidewall . All-season tires do provide safe all-weather performance. But remember, in severe winter snow conditions, they are not the safest choice. Do not mix tires: different tread patterns, size, construction can compromise vehicle performance and safety. 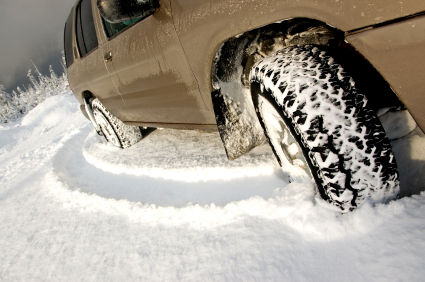 Check your tires: worn treads have less traction on all surfaces, especially on ice and snow. Monitor tire pressure: in colder weather, the pressure in your tires drops. This affects safety and fuel consumption, so check your tires often. The performance of your vehicle’s tires is directly related to the temperature outside. As the temperature drops, even the best summer tires will fail to respond road conditions. All-season tires , while designed for all types of weather, will not perform as well in ice and cold. As a rule, whenever the average outdoor temperature falls below or climbs above 7 degrees Celsius (19.4 degrees F), your tires will be affected. As the temperature drops, non-winter tires loose elasticity and the grip they have on the road. That’s why the best tires to have when the temperature drops are winter tires. Conversely, winter tires will deteriorate faster in hotter temperatures. If you’re interested in finding what winter tires would work best for you, or if you’d like to just learn a bit more, stop by or drop us a line and one of our tire professionals would be happy to help you find what works best for your specific driving conditions. 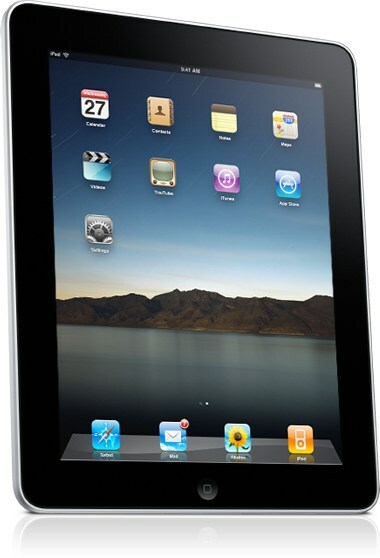 Win an iPad at Davis Buick GMC! That’s right folks – we’re giving away an Apple iPad this week here at Davis! We are having our Super Sale at the Cypress Centre this week, and one of our lucky customers will be walking away with an iPad. All customers who purchase a new or used vehicle at the Super Sale will be entered into a draw, and a winning name will be pulled at the end of the week. So if you’re in the market for a new or used car, SUV, van or truck come down to the Cypress Centre and check out the great deals – you could come away with an iPad!